High Quality | Not like the free poor quality ones online. We don't collect your telephone number or email so no spam. Bagpipe Ringtone, Real Bagpipes, Great tune. 1) Easy 2) Safe 3) Secure. 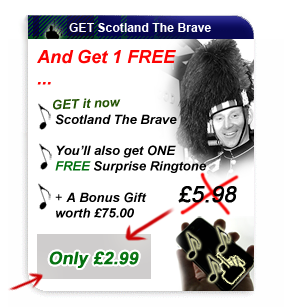 Get AULD LANG SYNE RINGTONE for your mobile phone.